Asian Flame moss got its name from its form of growth. Tight, vertical growing and light undulating shoots give the impression of a deep green camp fire, 5-15cm high. 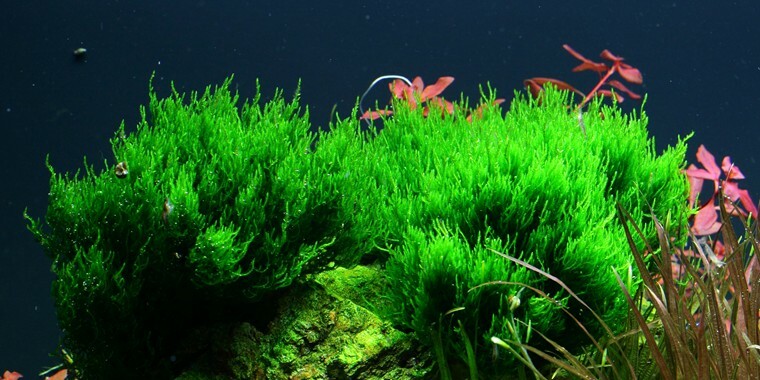 The very special form makes Flame moss extremely suitable for horizontal surfaces and it only spreads slowly horizontally. 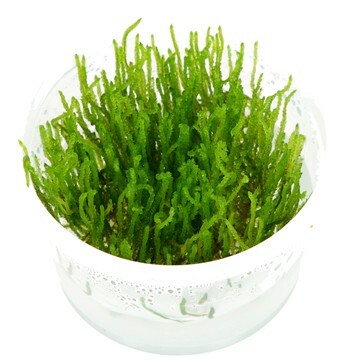 A lovely result is achieved by binding the moss to small stones or in small bundles on tree roots. It looks great at the front attached to a little stone. It has turned darker in the last couple of weeks, but has not grown much. Kept its shape though and stayed attached to the stone so still very pleased with how it looks.